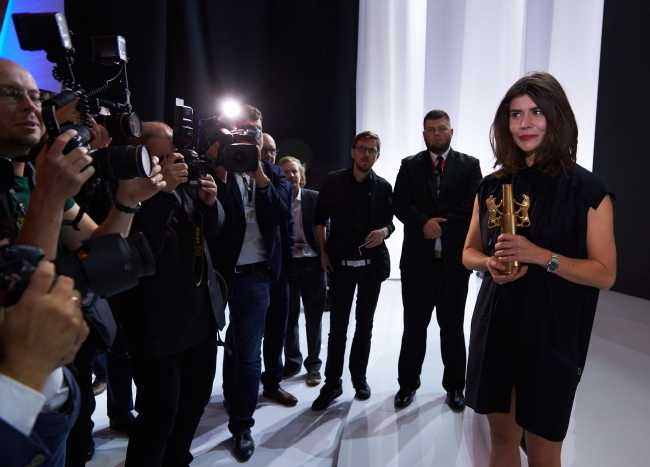 Director Małgorzata Szumowska's film 'Body' won the top award at the 40th Gdynia Film Festival on Saturday night.Szumowska's movie, an exploration of loss and reconciliation laced with black humour, impressed a jury led by Oscar-winning production designer Allan Starski ('Schindler's List'). The festival provides Poland's most prestigious showcase of new home-grown movies, and 18 films competed in the main competition this year. Second prize, the Silver Lions, went to veteran film-maker Janusz Majewski for 'The Eccentrics', an unlikely comedy set in a rundown Polish spa town in the 1950s. The award for Best Director went to Magnus von Horn for 'The Here After', a tale about a teenager facing the consequences of a crime. Von Horn likewise picked up the prize for Best Script. Małgorzata Szumowska's victory follows on from successes abroad. 'Body' won the Silver Bear at this year's Berlin Film Festival. She likewise achieved success in Berlin in 2013, scooping the Teddy Award for her film 'In the Name of', which explores the plight of a gay priest in a rural Polish parish. This year's closing gala was overshadowed by the sudden death of one of the directors who was competing in the main competition. Marcin Wrona was found dead in his hotel room on Friday night, leaving Poland's film community in shock on the closing day of the festival.